/ Modified aug 4, 2015 11:33 a.m.
Plan requires power plants to reduce emissions 32 percent from 2005 levels by 2030. President Barack Obama’s Clean Power Plan is being called the strongest ever action in the United States to curb climate change. It will have a wide-ranging impact across the country – including in Arizona. Just what will that impact be? It’s too early to say. "This is an extraordinarily complex rule that has taken the EPA several years to develop," said Steven Gottfried, a spokesperson at Arizona Public Service, the state’s largest power company. "It’s going to take some time for effective stakeholders including us at APS to fully understand its impact." Gottfried said a team of attorneys and environmental experts at APS are currently poring over the 1,500 page plan. As are staff members at the Arizona Department of Environmental Quality. "What Arizona DEQ has been trying to do is ensure that Arizona's interests are protected throughout this entire process," said Eric Massey, Air Quality Division Director at ADEQ. "And when we say protected what we're looking for is environmentally responsible economic growth that meets Arizona's unique needs." 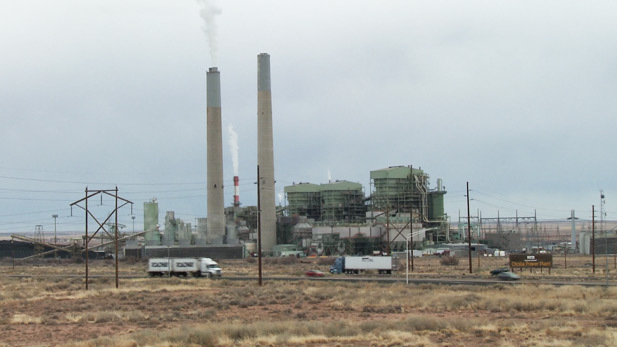 Like in all states, Arizona’s power plants will be required to significantly cut carbon emissions - the goal is to cut emissions nationally 32 percent from 2005 levels by the year 2030. APS and other utilities will work with the state’s Department of Environmental Quality to determine just how to meet the EPA's target for the state. Arizona’s eight coal-fired power plants produce the biggest share of the state's electricity, followed by nuclear. The Sierra Club’s Sandy Bahr said Obama’s plan is an important step in stopping climate change before its too late - and she, said, it’s a huge opportunity for the state. "By investing in clean renewable energy and energy efficiency it can benefit our health and our economy," Bahr said. In a written statement, U.S. Rep. Martha McSally called the power plan a sweeping mandate that "could jeopardize energy access for hundreds of thousands of southern Arizonans."